Gopal SR, Chen DH, Chou SW, Zang J, Neuhauss SC, Stepanyan R, McDermott BM Jr, Alagramam KN. Zebrafish Models for the Mechanosensory Hair Cell Dysfunction in Usher Syndrome 3 Reveal That Clarin-1 Is an Essential Hair Bundle Protein. J Neurosci. 2015 Jul 15;35(28):10188-201. doi: 10.1523/JNEUROSCI.1096-15.2015. Pollock LM, McDermott BM Jr. The cuticular plate: a riddle, wrapped in a mystery, inside a hair cell. Birth Defects Res C Embryo Today. 2015 Jun;105(2):126-39. doi: 10.1002/bdrc.21098. Epub 2015 Jun 23. Review. Antonellis PJ, Pollock LM, Chou S-W, Hassan A, Geng R, Chen X, Fuchs E, Alagramam K, Auer M, McDermott Jr BM. ACF7 Is a Hair-Bundle Antecedent, Positioned to Integrate Cuticular Plate Actin and Somatic Tubulin J Neurosci. 2014 Jan 1;34(1):305–312. Balow SA, Pierce LX, Zentner GE, Conrad PA, Davis S, Sabaawy HE, McDermott BM Jr, Scacheri PC. Knockdown of fbxl10/kdm2bb rescues chd7 morphant phenotype in a zebrafish model of CHARGE syndrome. Dev Biol. 2013 Oct 1;382(1):57-69. doi: 10.1016/j.ydbio.2013.07.026. Epub 2013 Aug 3. Werdich AA, Brzezinski A, Jeyaraj D, Ficker E, Wan X, McDermott BM Jr., Sabeh MK, Macrae CA, Rosenbaum DS. The zebrafish as a novel animal model to study the molecular mechanisms of mechano-electrical feedback in the heart. Prog Biophys Mol Biol. 2012 Jul 23. Chou S, Hwang P, Gomez G, Fernando C, West M, Lin-Jones J, Burnside B, McDermott BM Jr. Fascin 2b is a Component of Stereocilia that Lengthens Actin-Based Protrusions. PLoS One. 2011;6(4):e14807. Epub 2011 Apr 26. West MC, McDermott BM Jr. Ribeye a-mCherry fusion protein: a novel tool for labeling synaptic ribbons. J Neurosci Methods. 2011 Feb 18. McDermott BM Jr., Asai Y, Baucom JM, Jani SD, Castellanos Y, Gomez G, McClintock JM, Starr CJ, Hudspeth AJ. Transgenic labeling of hair cells in the zebrafish acousticolateralis system. Gene Expr Patterns. 2010 Feb-Mar;10(2-3):113-8. Epub 2010 Jan 18. Prober DA, Zimmerman S, *Myers BR, *McDermott BM Jr, *Kim SH, Caron S, Rihel J, Solnica-Krezel L, Julius D, Hudspeth AJ, Schier AF. Zebrafish TRPA1 channels are required for chemosensation but not for thermosensation or mechanosensory hair cell function. *These authors contributed equally to this work. J Neurosci. 2008 Oct 1;28(40):10102-10. Tsang SK, McDermott BM, Racaniello VR, Hogle JM. 2001. Kinetic analysis of the effect of poliovirus receptor on viral uncoating: the receptor as a catalyst. J Virol 75:4984–4989. 10.1128/JVI.75.11.4984-4989.2001. 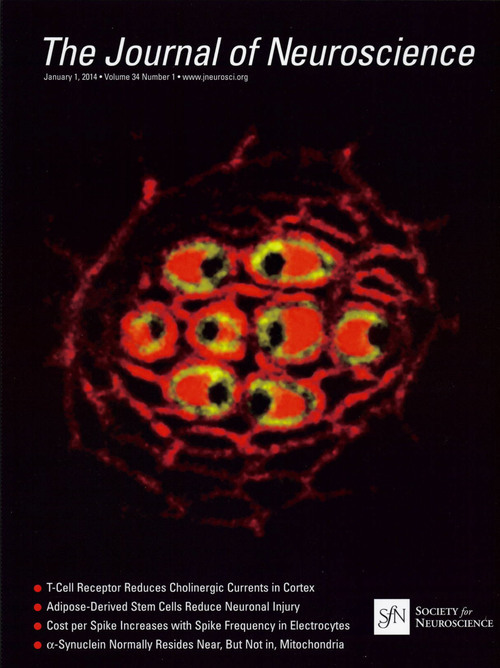 Bouchard MJ, Dong Y, McDermott Jr BM, Lam DH, Brown KR, Shelanski M, Bellve AR, and Racaniello VR (2000) Defects in nuclear and cytoskeletal morphology and mitochondrial localization in spermatozoa of mice lacking nectin-2, a component of cell-cell adherens junctions. Mol Cell Biol 20: 2865-2873. Belnap DM, McDermott BM Jr, Filman DJ, Cheng N, Trus BL, Zuccola HJ, Racaniello VR, Hogle JM, Steven AC. 2000. Three-dimensional structure of poliovirus receptor bound to poliovirus. Proc. Natl. Acad. Sci. U. S. A. 97:73–78. McDermott BM Jr, Rux AH, Eisenberg RJ, Cohen GH, Racaniello VR. 2000. Two distinct binding affinities of poliovirus for its cellular receptor. J. Biol. Chem. 275:23089–23096. 10.1074/jbc.M002146200.